Get set for some festive fun and celebrate the party season in style! 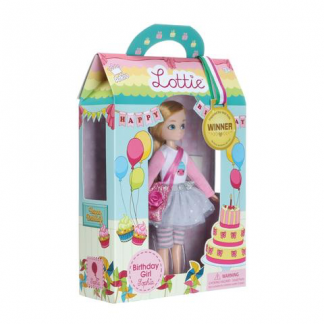 Dress Lottie in a spectacular blue velvet -style party dress, and complete the look with a silver sequin cardigan and matching silver sparkly ballet flats. 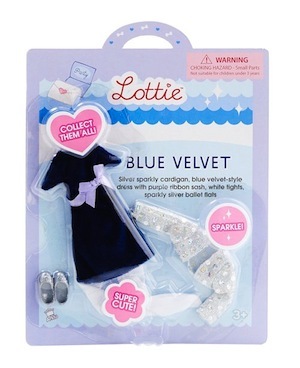 The outfit set includes a silver sparkly cardigan, a blue velvet-style dress with purple ribbon sash, white tights and sparkly silver ballet flats.